At the beginning of the season 2017/2018 Per Hakan Precht succeeded as TESTO in “Il combattimento di Tancredi e Clorinde” at the Lübeck Theatre. In spring he portrays CAVARADOSSI at the Detmold Municipal Theatre. Lately, he made his debut at the Oslo Philharmonic Orchestra under the musical direction of Jukka Pekka Saraste w ith Mahler’s VIII Symphony. 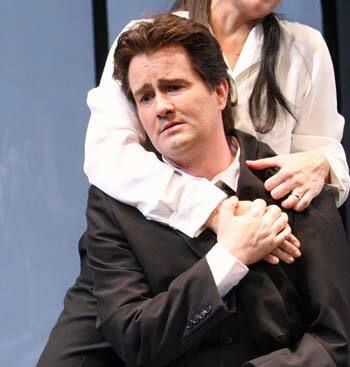 He also portrayed WILSON in John Adams’ ‘Doctor Atomic’ at the Helsinki National Opera. The artist not just sings the Italian and French repertoire; he also shines in the German Fach. 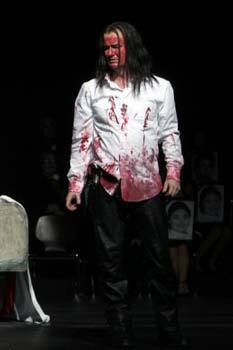 He made his debut as ERIK and as STEUERMANN in ‚Der Fliegende Holländer’ at the Gothenburg Opera. 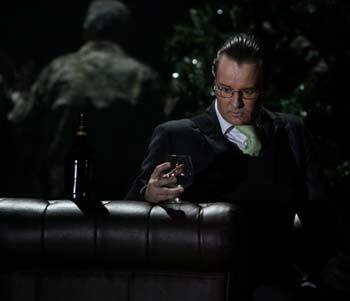 In the season 11/12 Per Hakan Precht also portrayed DON JOSÉ with the Norrköping Orchestra in Sweden and in Stockholm. He sang the tenor soloist part in Mahlers VIII. Symphony in Stockholm. In August 2012 he was DON OTTAVIO at the sides of Hillevi Martinpelto as DONNA ANNA a the Stålboga Castle. Due to its tremendous success this production was be played again in summer 2013. Beside, in 2013 he also portrayed ALFREDO in ‘La Traviata’ at the Detmold Theatre. In the season 13/14 he sang Beethoven’s 9th symphony with the Oslo Philharmonic Orchestra under Vasily Petrenko and at the BergenFestival House. At the Helsinki National Opera he could be seen again in ‘Die Tote Stadt’ and he was a very successful KNIGHT SLAVOJ, in Dvorak’s opera “Wanda” at the Osnabrück Theatre. In the season 2014/2015, he returned to Osnabrück as DESPORTES in Manfred Gurlitt’s “Die Soldaten” The Swedish tenor can regularly be seen in concerts in his native country Sweden. The label STERLING released a total recording of Gillet pa Solhaug by Wilhelm Stenhammar, in which Precht sings the tenor main role GUDMUND ALFSON. In addition to Swedish, his mother tongue, Per-Håkan Precht is fluent in German, Italian, English and French. … Per Hakan Precht as the narrator gives a marvellous performance. The main role has the narrator. Per Hakan Precht excellently sings this part, with plenty of ornaments and powerful accents in his play.. Per Håkan Precht is an excellent Slavoj, profoundly lyrical and yet robust.